Tylin is using Smore newsletters to spread the word online. Ben Franklin in the house! Just returned from discussing and signing The Treaty of Paris with King George III of Great Britain and representatives of the United States of America on September 3, 1783. Some other countries that supported the American cause such as France, Spain, and The Dutch Republic known as the Peace of Paris.We discussed territories through out the Americas; the Indians aren't getting any land back though. I think this is the end of the American Revolutionary War. 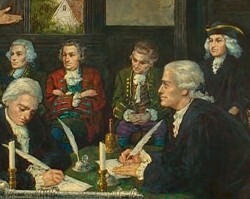 A convention of delegates called together from the Thirteen Colonies. 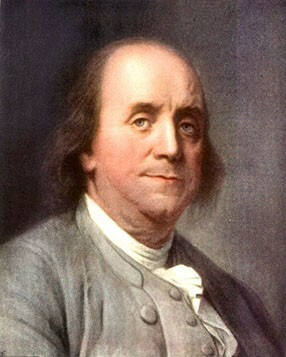 This became the governing body of the United States during the American Revolution. In 1776, the congress took huge steps to declare its independence from Britain. Five years later they ratified the Articles of Confederation. Unfortunately Georgia did not appear at the first meeting. 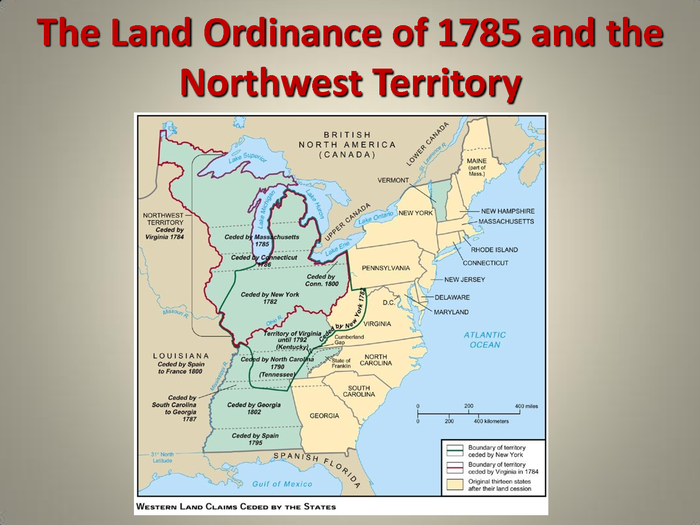 The Land of ordinance was adopted by the Continental Congress in the United States on May 20, 1785. It set up a standardized system whereby settlers could buy title to farmland in the west. 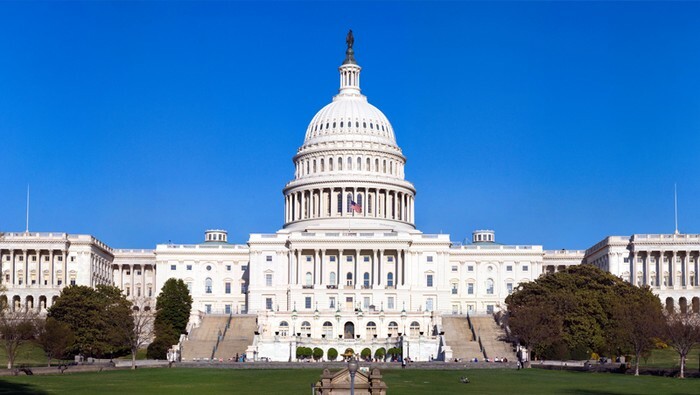 Congress at the time did not have the power to raise revenue by direct taxation because of the A.O.C. Land sales provided an important revenue stream.The ordinance was important for establishing a way for funding public education. 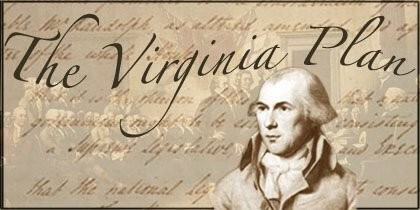 The Virginia Plan was a proposal by Virginian delegates for a legislative branch. The plan was drafted by James Madison while he waited at the Constitutional Convention of 1787. This called for the voting of a state to be based on population rather than one vote per state. The plan would protect the larger states interest in the new government. Its also known as the Randolph Plan. 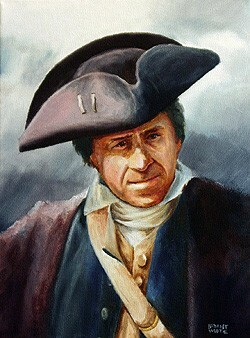 I Revolutionary War veteran Daniel Shay will lead four thousand rebels in rising up against perceived economic injustices by Massachusetts. My rebellion shall start on August 29, 1786. Our discrepancies have been ignored for to long several factors like financial difficulties bring about by a post-war economic depression. We call for a reform of the Articles of confederation. Our central government is to weak and the fact they cannot stop our rebellion calls for its complete overhaul. The first 10 amendments to the Constitution make up the Bill of Rights. 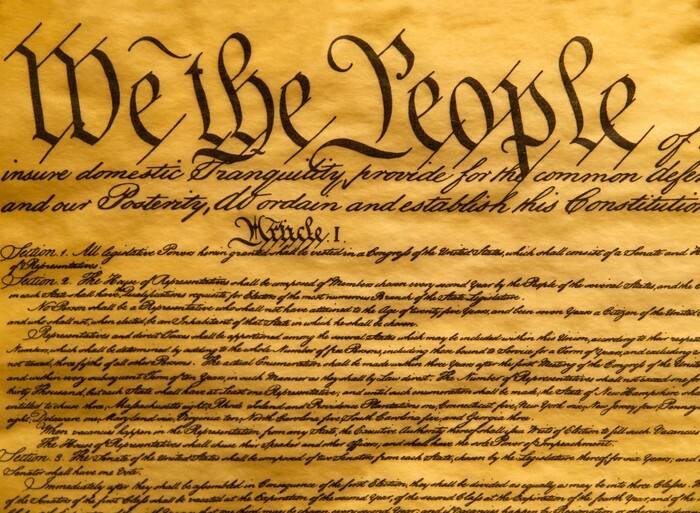 Written by James Madison composed of interjections from several states for a better constitutional protection for individual liberties.The Virginia Declaration of Rights, written by George Mason, strongly influenced it. 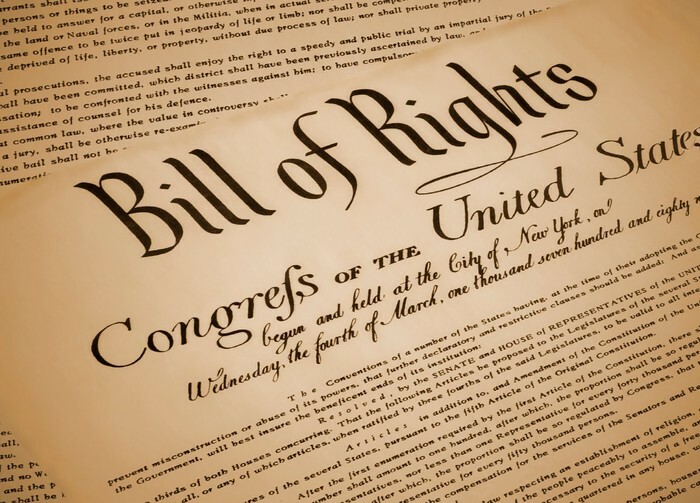 The Bill of Rights is a list of limits on government power. The U.S. Constitution established America’s national government and fundamental laws, and guaranteed certain basic rights for its citizens. It was signed on September 17, 1787, by delegates to the Constitutional Convention. It ensures a stronger federal government with three branches. Executive, legislative and judicial with a system of checks and balances to ensure no single branch would have too much power.